For its second chapter, the research platform and event series Heterotropics in collaboration with the Research Center for Material Cultures invited KUNCI Cultural Studies Center (Yogyakarta, Indonesia) to engage in a 6-week research residency at the Tropenmuseum. 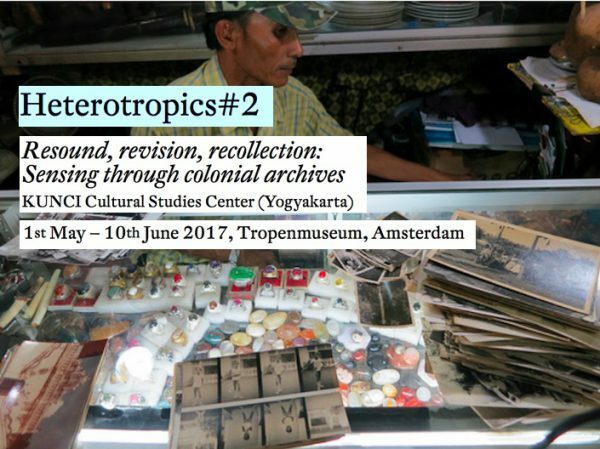 During their residency, various KUNCI members will research and publicly discuss the Dutch East Indies collection of the Tropenmuseum, considered both as an archival corpus and narrative device. Aiming to unleash alternative epistemologies and shifting confabulations, Heterotropics#2 will reflect on the aftertastes and afterlives of colonialism, archival language and the politics of memory taking the Tropenmuseum as a starting point. 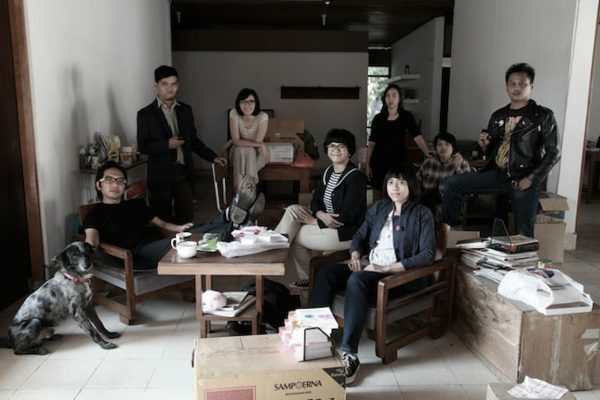 KUNCI is a collective of artists and theorists initiated in Yogyakarta in 1999. Its activities span different fields trespassing and expanding existing disciplinary boundaries. Since its founding, KUNCI has been deeply preoccupied with critical knowledge production and sharing through means of media publication, cross-disciplinary encounter, research-action, artistic intervention and vernacular education within and across community spaces. 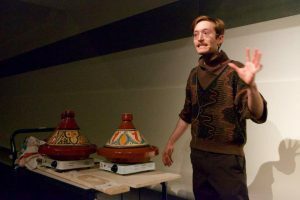 A broadcasting series focusing on specific objects and findings selected from the archives of the Tropenmuseum will punctuate the unfolding of the residency. In the form of conversations and interviews, the series is a work-in-progress intended both as a communication and research tool. The 6-week research residency will lead to the final symposium Tropical Dissonance: Decolonizing education through ethnographic archives (6th June 2017). Convening local and international speakers, the symposium will interrogate intersections between decolonial research, artistic practices and alternative knowledge production. Both the symposium and the series will be broadcasted live as well as later uploaded as podcasts on RADIO KUNCI (radio.kunci.or.id). The project forms a part of a new long-term project by KUNCI entitled ‘School of Improper Education’ (http://sekolah.kunci.or.id/), in which the collective will engage with alternative modes of education and knowledge transmission. The radio will be used as a strategical way of disseminating knowledge across geo-political boundaries and also as a reference to the use of this medium during colonial times. Heterotropics is a long term research and curatorial project initiated by Amsterdam-based curator Sara Giannini and organized in collaboration with TAAK. Unfolding through different chapters and collaborations, it investigates the immaterial and material remnants of colonial desire in the city of Amsterdam. Heterotropics is a fictitious concept arising from the linguistic intimacy between “trope” and “tropic.” In its different manifestations it relates language, space and collective imagery. Heterotropics #2 is realised with the kind support of the Research Center for Material Culture, Amsterdamse Fonds voor de Kunst, and Prins Bernhard Cultuurfonds.